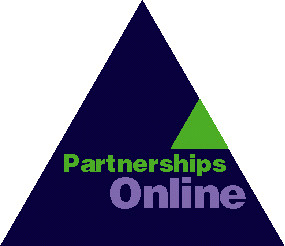 Partnership and participation are now widely promoted by Government , so bidders for funds have to 'tick the partnership box'. Sometime successful bidders forget junior partners once they have the money. Voluntary bodies are wary of new organisations which may compete with them for scarce resources. Residents may suspect the motives of those promoting new organisations. Is it for community benefit or personal power and job creation? Councillors and officers may fear that a new organisations concerned for the future of an area will challenge their role. Some professional firms may wonder how a Trust will sustain itself in the long term without competing with them for business, perhaps with an unfair advantage through grant support. These fears can crystalise into powerful antagonisms unless potential enemies as well as allies &endash; all the stakeholders &endash; are involved in the process of creating a Trust. Criticisms and challenges can also be useful spurs to keep revisiting the fundamental question: who is it for? Partnerships are built as much through the relationships of people as formal structures &endash; and the way to build relationships is by bringing people together. Events are the milestones in the process of creating a partnership &endash; whether formal events like steering group and Board meetings, presentations or launches, or informal events like breakfast briefings, lunches or socials. Partnerships are created from interests who may have different styles and expectations, and in the early stages will usually benefit from having a facilitator to break the ice, make sure everyone has a chance to speak, focus discussion and help with problem solving. It may be necessary to engage a professional facilitator or a trainer with these skills. If the facilitator is someone with specialist knowledge of Development Trusts, make sure he or she is clear at any point which 'hat' they are wearing &endash; specialist adviser or neutral adviser. One way to plan the start up process for an incorporated partnership like a Development Trust, and resolve many of the issues, is to carry out or commission a formal feasibility study. This may well be appropriate when creation of a Trust depends on making a bid to one or more funders. The eventual feasibility of a Development Trust depends on a number of key factors which correspond to areas of good practice or competence. A well-conceived start up process involving key interests in developing a bid to funders based on an outline business plan. Recruiting high-calibre people from public, private and voluntary sectors for the Board to develop a shared mission. They will be responsible for the governance of the Trust. The information sheet on Competence provides more detailed checklists. Any feasibility work should, therefore, aim to answer the question: How can we create a competent development Trust? See also Feasibility study information sheet. What are you trying to do, decide, explain? When must you start and finish? Who needs to be consulted, involved? H stands for How, which you need to consider after running through the Ws. One of the strengths of development trusts &endash; if well conceived &endash; is their ability to raise funds and help in kind from different sources, and 'package' them to maintain the Trust and carry out projects. However, merely forming the Trust will not ensure that the funds flow. There is no special pot of gold for trusts. What do you need the money for, and how much? Do a budget. When will you need it? Produce a Time Line. What will you do if you can't raise the total you need? Who is likely to fund you, and why should they support you? Will you need more money later when initial funds are used up? One of the key areas of competence for a Development Trust, with particular relevance to the Board of directors. Governance covers maintaining a clear set of aims and objectives based on the beneficiaries, monitoring the performance of the Trust, appointing the executive director, and maintaining relationships with other partners. See also the Governance information sheet. Early in the formation of a partnership people may be unsure of how to conduct meetings, who is responsible for what, and how to relate to outside bodies. It is usually helpful &endash; perhaps with the aid of a facilitator &endash; to draw up a set of basic groundrules. Having clearly set rules of operation will facilitate communication and give members trust in the partnership. It is preferable to put operating procedures in writing and have all members ratify them. Make sure that the rules and procedures developed by the group promote shared ownership in the process and its outcomes. Develop mechanisms that will include all stakeholders, not just recognized leaders. Working through the implications of these guidelines and principles will bring out some of the tensions trusts must deal with in being both a business and an agent of social change. See also the Guidelines information sheet. A coherent identity helps communicate effectively. Working with a designer and writer is an excellent way of clarifying what you are trying to say and to whom. Once you have a strong identify you have to live up to it. Consult another voluntary organisation or an insurance broker, and assign responsibility for maintaining cover. See the book Voluntary but not Amateur.